The company is widely known VMtec foreign and Russian producers. The popularity of its products due to the latest technology combined with high German quality. Analyzing the requirements of today's market, VMtec maintain a permanent control of production. In its technical labs conducted tests of products to suit different environments and the likely conditions of the equipment. Professional engineering staff monitors the build process, making the necessary changes and corrections at different stages of the testing. This increases the life of equipment VMtec, and the costs of continued operation and services in proportion to decrease. Employees are ready to configure the equipment to best suit production goals. This approach allows to achieve excellent functional characteristics - carefully calibrated design any model of equipment VMtec distinguished by high reliability, efficiency, low noise level. Designed for training and even compressed air quality in the pneumatic system of different types of production. Designed for intensive operation and professional use, by reducing engine speed is considerably increased its share. Designed for use in systems where the air pressure in the metallurgy, chemical, petrochemical and oil industry, medical industry. Designed for use in various industries, the whole power of the engine with no loss of power supplied to the piston. Reciprocating compressors VMtec pressure - powerful and reliable fixed installations, are widely used in industries, where output is required compressed air at high pressure: a test of pipelines, drilling operations, etc. 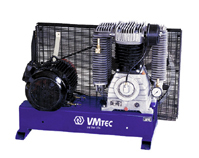 Mine (Ex) compressors VMtec - reliable screw compressors for compressed air supply air tools and drive mechanisms in underground mines, including hazardous gas and dust. Operation of the explosion-proof compressor station is available in dead-end workings of mines dangerous methane. Modern requirements for product quality, make it increasingly urgent issue of using oil-free air in various industrial processes. Air produced by oil-free compressors VMtec not contain impurities of oil, dust and water and meets the highest European standards and norms. 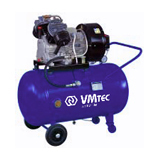 Portable (Diesel) compressors VMtec - it peredvezhnye install diesel driven. High performance, automatic change in performance, the system of emergency protection in case of violation of the normal mode of operation have made these German compressor stations popular with builders and road services. Technique VMtec can operate in wide temperature range, outdoors and indoors. Established equipment provides equipment protection systems from overheating and idle speed, low oil level, short-circuit. Additional equipment allows you to install automatic system turn on and shutdown, and load switching. 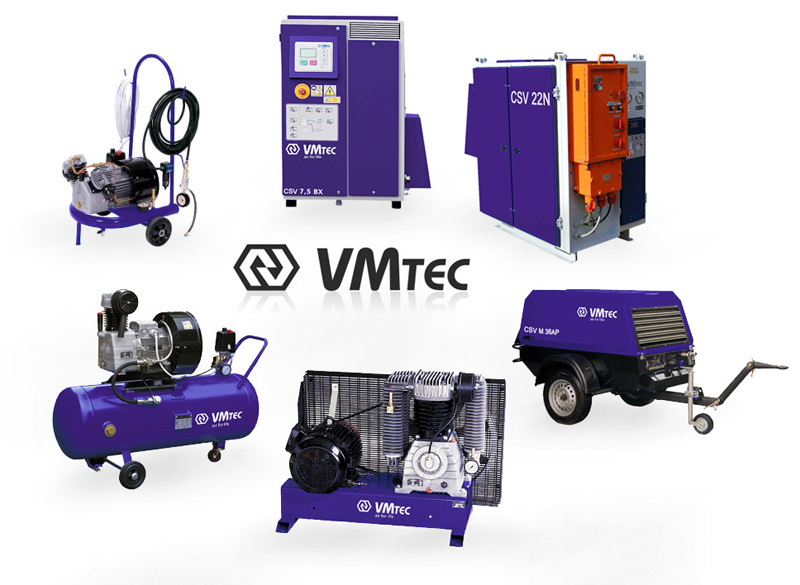 The company's management VMtec gives considerable importance to the availability of its products, providing its customers with a comprehensive line of products and maintaining an optimal price-performance ratio.